Make sure you read all the way to the end of this post for an awesome Sweet Reads Box Giveaway. 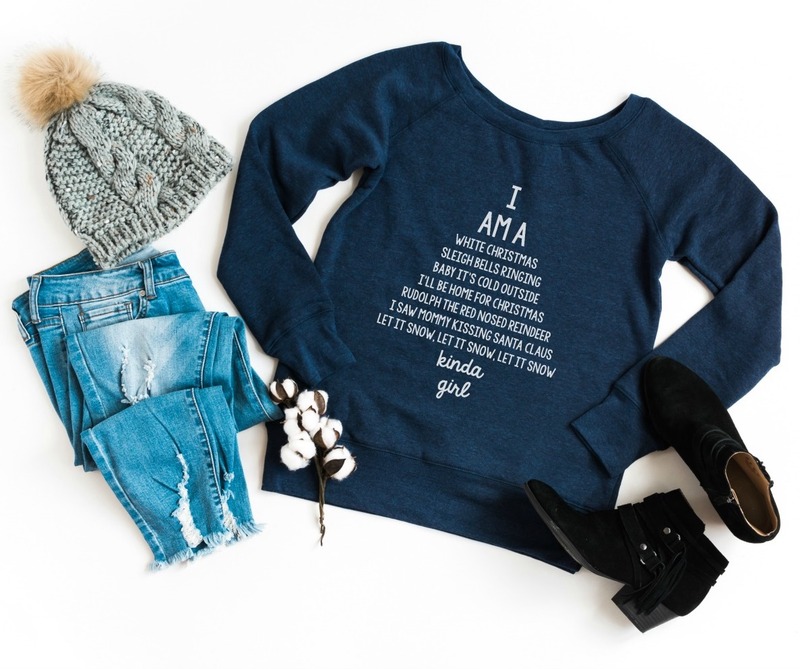 It’s the perfect gift idea for book lovers! A few years ago, a handful of my girlfriends and I got together for a “girl’s night out”. We did a private yoga class at a local studio, run by my friend Kim. It was an amazing night that has really stuck with me. Not only was the company great and the class fabulous, but something that Kim said to us really stuck with me. She talked about what a hard job being a mom is, and how as mother’s our needs often end up falling to the wayside because we put the needs of our kids before our own. She talked about how important it is as a wife, mother and woman to practice self care and to do things (like that yoga class) for ourselves. She told us that she has a list of self care activities on her fridge and that she tries to do a few of them each day. She said that carrying for herself, and making her own needs a priority has made her a better mother and wife, and that when mommy is happy and healthy that spreads to the whole family. So today I want to ask you this question Mamas– When was the last time that you did something just for yourself? I’ve taken Kim’s advice to heart and have made a point since that night to try to do more things that make me happy. Let me tell you… It’s hard! You might feel selfish that first night when you say to your husband “I’m going to go take a warm bath and read. Can you put the kids to bed tonight?” But mamas, it’s worth it. Self care can come in all shapes and forms from eating healthy, to getting your nails done, to going to bed early, to buying yourself something pretty, to sitting down for uninterrupted time to read a good book. 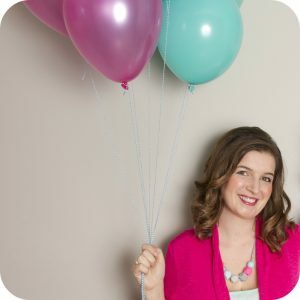 My friend Kerrie is the mother of twin boys, a teacher and the owner of one of my favorite blogs– Family Food and Travel. She knows what it’s like to be a busy mom and to make every excuse under the sun to not treat yourself. She’s done something to remedy that. Together with her partner, Mark, she’s created the Sweet Reads Box. The idea behind Sweet Reads is a fabulous one- Life is busy, but we all deserve a chance to sit down, relax and enjoy a great read, a decadent sweet and a beautiful gift. 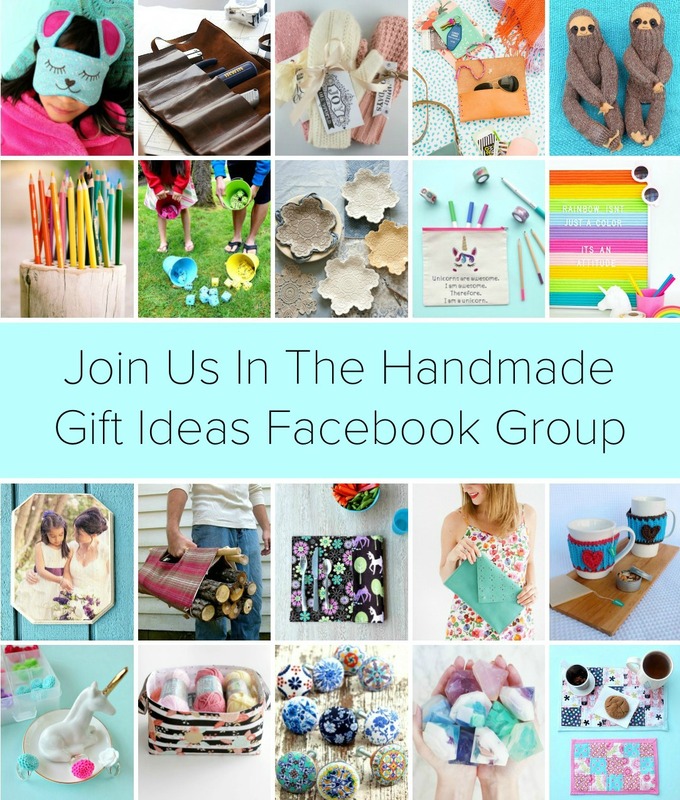 Can you imagine if once a month a friend sent you a specially thought out, curated gift? It would be amazing right? That’s exactly what the Sweet Reads Box is! My first Sweet Reads Box arrived at my doorstep earlier this month and I was so excited to open it. When I saw what was inside it felt like someone had thought “Mama, you deserve something special and some quiet time to enjoy it.” It’s the perfect gift idea for book lovers! When I opened the box, I saw tissue paper that was sealed with a Sweet Reads Box sticker. When I peeled back the sticker and opened the tissue paper I was surprised by the lovingly curated items. It felt like my best friend had picked them out for me. 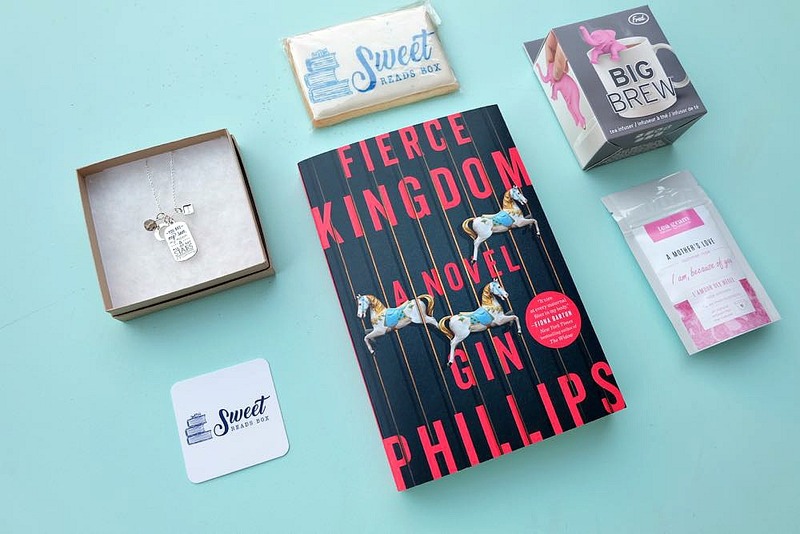 First I noticed Fierce Kingdom by Gin Phillips, a book I had eyed the week before at the book store. Then I noticed the pink elephant tea infuser (seriously how cute is that?!?!). Just as I started to think “oooh I wonder what tea I will brew in it first?” I noticed that there was a bag of A Mother’s Love Tea included in the box along with a Sweet Reads Box cookie to enjoy with the tea. The last thing that I opened was a jewelry box that had this Foxy Originals necklace in it. How beautiful is it? I love this quote from E.E. Cummings. It perfectly sums up a mother’s love for her child. The box also contained a Sweet Reads Postcard that highlighted each of the items in the box and shared why it was picked to go with the book. 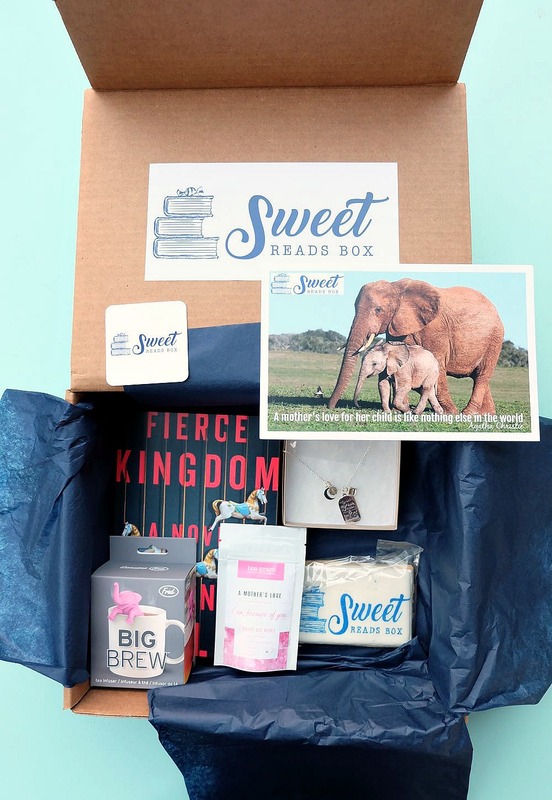 The Sweet Reads box is $49.99 per box if paying 1 month at a time, $47.99 per box if purchasing a 3 month subscription or $43.99 per box if purchasing a 6 month subscription but the boxes contain goods valued well over the subscription price (for example the box I received was valued at over $75!) If you sign up for the Sweet Reads Box E-Newsletter you will get a 10% discount off of a 3 or 6 month subscription. Read more about the Sweet Reads Box and subscribe here. 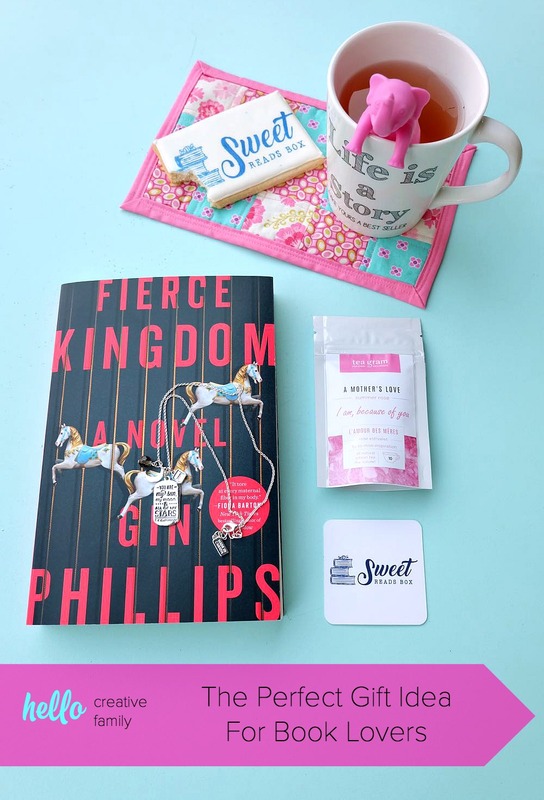 I think that the Sweet Reads Box would make a lovely gift for yourself or a friend or family member. It ships on the 15th of each month and would make a fabulous Christmas or Mother’s Day Gift. I also think that it would be super fun for book clubs to subscribe to. Each month each member of your book club would receive the next book they are going to read along with beautiful gifts to go with it! Who doesn’t love to receive Happy Mail? I know that getting beautiful things in the mail makes me very happy and that’s a great way to practice self care! I encourage you all to take a minute for yourself and reflect on what self care means to you. Maybe it’s the Sweet Reads Box! 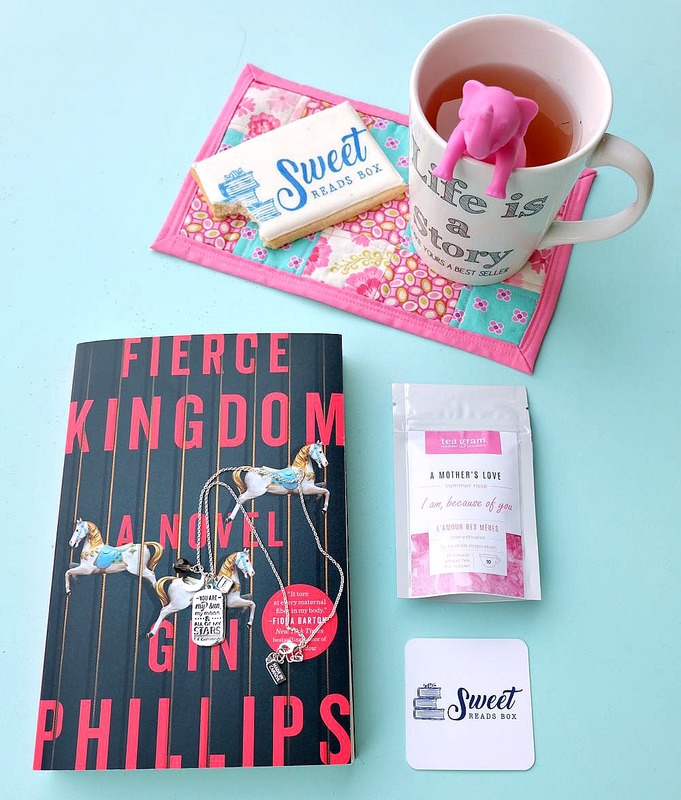 PS- The cookie and tea were the perfect treat while I sat down to start reading Fierce Kingdom and the pink elephant diffuser matched my new mug rug that I’m going to be sharing a tutorial on how to make here soon! 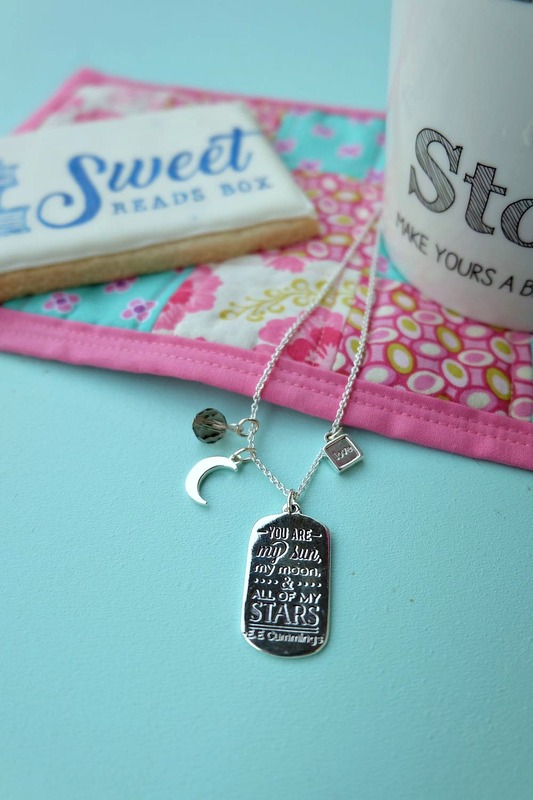 Want to win a Sweet Reads Box of your own? Enter below! Must have a Canadian mailing address to win. Prize value of the box is $64.95 (box price + shipping) but the goods in the box actually total a value of over $75.00. Good luck! 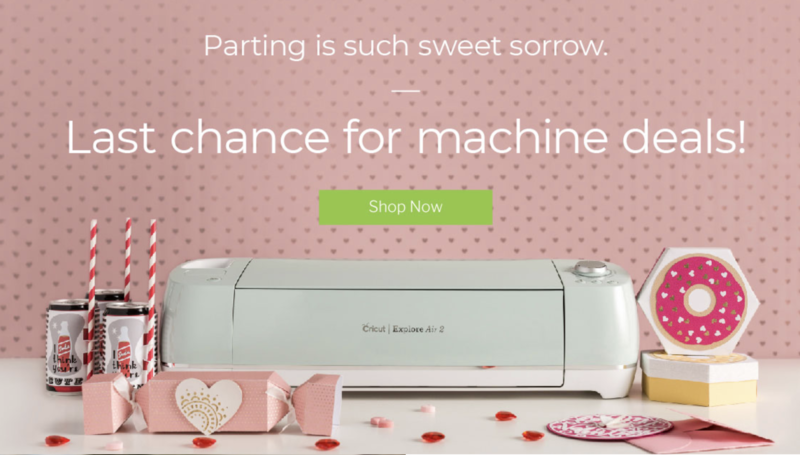 Disclosure: Thank you to Sweet Reads Box for sending us a the Mother’s Love Box for review and for providing our readers with this fabulous giveaway. 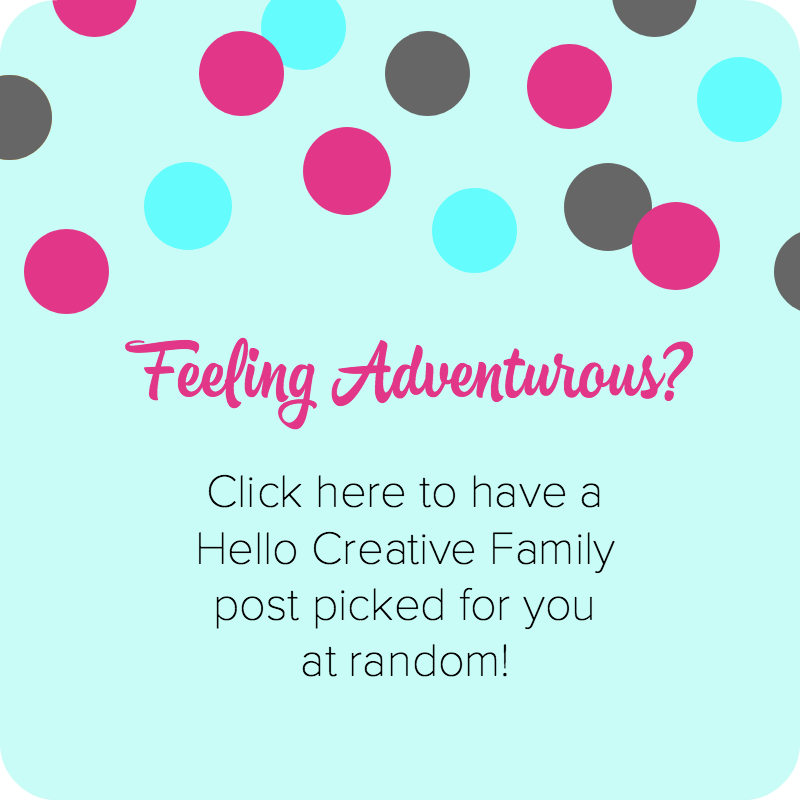 As with all articles on Hello Creative Family, all thoughts and opinions are 100% our own. Self care to me is taking time to soak in the tub, with a good book and a tea, every night. Self-care means taking time to be alone with yourself to do something that you enjoy. I would use this box myself. Self care for me is taking time for some peace, quiet, a cup of coffee and a decent book. I would totally keep this for myself. To me, self care means taking time to myself, even if it’s just a few minutes here and there. I like to stretch, do yoga, swim, read, and drink tea. So this Sweet Reads box would be awesome! Self-care for me is doing what you love. Pampering yourself, giving yourself the first priority and not thinking of anything and anybody. For me, self care means doing things that make me happy, which usually involves either loud music or quiet time. I would keep this for myself. For me self care is taking time to relax. I would give this to my daughter. I would totally keep this for myself. Reading is my self care, and I do it every night before bed. Self care looks like time just for me with no interruptions and i would you love to give a Sweet Reads Box to me! Self care means getting some peace and quiet and doing whatever makes you happy. I would give this to my mom. Self care means taking time for yourself, and honestly I would love to keep this for myself! Self Care looks like being happy and making sure you take out time for yourself. Giving your self some time to do the things you want whether it’s going out by yourself or taking a nap. I would love to keep this box for myself! Me!! Taking care of one self before you can take care of others. And for me, the most important way to unwind is to curl up with a good book and a hot cup of tea!! To me self care means making time to go out with my girlfriends for a dinner, a movie, mani-pedi or just a visit. It also mean a cozy blanket and a good book. I will keep this box of course. I will be keeping it for myself and share with my daughter because we both love to read. Self care means taking time out for myself, I would give this to my cousin Tami. Self care for me is taking time to just sit back relax and do something I love, read. self care means to meditate and give time for myself. Oh, I’ll be keeping the Sweet Reads box all for me. Self care means to spend some “me” time. Whatever it is that renews me, soothes me. Reading does that. I would give this to my daughter, because with 2 little ones, she needs to have some special “me” time for herself. For me, self care means putting myself first at least one a day. I would love to give a Sweet Reads Box to my best friend. This looks like a great contest. Very good gifts being given away. Self care to me: shutting off the cell phone and kicking it on the patio. Just “me time”…maybe the cat too, hahaha. This would be a nice gift for myself!…or maybe my neice, she would love it also. Everyone needs time for themselves and do something that they can enjoy alone! I’d totally keep this for myself! Self-care for me is doing what I love, a good book and a glass of wine in a quiet place. Self care is taking time out for yourself and doing what you love. I’m not going to lie, I want this for me! Self care is taking a minute or three when you need a minute or three for you. No excuses. No is a complete sentence.? I give to my mother who still takes sucg good care of me! I take some “me’ time. That for me is a pedicure or massage. Self care is taking quiet time to myself (no husband, no kids). If I had two boxes I have quite a few deserving friends I’d have to choose from. self care means spending time on myself. 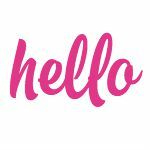 Self care is an early night to bed – once the kids are asleep, I get a bit of time for me. I would give this to my mother in law. Self care is taking some alone time to relax and refocus. self care mean taking me time … going to the gym & doing other things I enjoy for me…. I’d love to give myself the gift of sweet reads! Self care includes a good night’s sleep, some wine, and a bath – in no particular order! I would love this for myself! Self care to me includes time spent reading or quietly sitting alone. I truly would love this for myself. Self care means getting enough sleep and making time to exercise daily. I’d give this box to my best friend, who doesn’t have time most days that is just for her. Self care for me is taking time out to do the things I like. I would gift this box to myself! Self care is making time to do things that you want to do for yourself. I’d keep this prize for myself. Self care taking time for myself to relax. I give the box to my daughter. It means taking time for myself, and I would keep this for myself as I love, love, love reading! Self care for me is time completely alone with a book, chocolate, and tea. I would gift it to myself because I can’t remember the last time I read a new book. Self care is taking care of oneself so one can take care of others. I would love to receive a box for myself – I love surprises. Self care to me is getting things done but still taking care of myself by resting and rejuvenating when necessary. Plus I would give it to myself…my own little reward! Self care is multi-faceted: We need to eat right, sleep well, exercise, take some down time, have hot baths, do what you enjoy. I would keep the gift for myself! To me, self care is more than just healthy diet, exercise, and sleep hygiene. It’s about taking even 10 minutes everyday to decompress- drink some coffee, read a book, have a bath, or do whatever helps you to unwind and relax. Self care is taking some time to care for oneself. I’d like to give this to my mom as she could really use it. Self care is taking time for yourself. I would keep this sweet reads box for myself. Self-care for me is putting my own needs as a priority, whether it’s working out or getting my rest. Self-care for me is putting my own needs as a priority, whether it’s working out or getting my rest. I would enjoy this set myself, and share it with my sister. Self care means taking time for me. I would use it for me! Yes, I would give it to myself. Self love to me is getting massages, stretching my body, walking, singing, colouring, reading and writing in a journal. Self care is pampering myself with facials, nails, lotions & non chemical scents. I would keep this for myself. Self care to me is taking some time for myself..taking a walk, reading a book.. love this for myself! Self care usually involves some alone time. I would treat myself to this box. Self care to me is taking a little time each day for myself, I would give this to my dear friend who is going through a terrible rough patch in her life right now. Self-care is curling up on the sofa with a cozy throw, a good book, and a cup of cocoa! I think this would make a great gift for a shut-in. I need to try some self care. Maybe a hot bath and read a new book. I would treat myself to the box. Self-care for me lately has been reading a good book in a bubble bath. I would give this to my sister who loves books almost more than life. I’d love to give this to my sister-in-law. My self care involves a new magazine and a latte at Starbucks! Self care for me looks like making sure I get enough sleep and exercise, because I sometimes have a tendency not to. And also taking some time to myself, and books and tea do often feature in that. I’d love to give a Sweet Reads box to one of my aunts, who spends way too much time running around to everyone else’s activities. Self care is a bath & a good book for me ! Self care means taking regular time out for yourself. We are busy and give ourselves to our partners, kids, friends and family – sometimes we just have to put our needs first. I would give this to my mum – she loves to read as much as I do. Self-care means taking time to be alone with yourself to do something that you enjoy. I would give this box to my stepdaughter on her birthday, Nov 22!! Self care is taking time to do what is right for you. I would like to share the Sweet Reads box with myself. Myself…I feel like I need to begin to take care of me. Self care is taking time out for just me. I’d keep this for myself! Self care to me is ensuring some ‘quality’ time for myself. Usually an hour at bedtime and an hour in the morning. I’d definitely keep the Sweet Reads box for myself. Self care is relaxing in the bath with a glass of wine and a good book! I have to say that the box would be for me. I would love it. Self care for me is a bubble bath with a Lush bubble bar, a glass of wine and a good book. For me self care means getting enough sleep, and having a bubble bath with a good book most nights before I go to sleep. My self care involves a good workout at the gym and relaxing with a good book. Self care to me is taking time to pamper yourself. I would love to give a box to my sister. Self care for me is a hot shower, kicking up my feet and a good read. I’d give a Sweet Reads Box to my hardworking baby girl. For me, self care is soaking in a hot tub with a good book and relaxing. I would probably gift this to my sister since I already have this book. Thanks! For me, self care is taking time to consider what I need to feel my best and then doing that. I’d love to have this for myself. I would give it to my sister in law so she can self care! Self care means taking care of yourself too. Yes, I would love to have this for me! Self care to me is taking a moment to “disconnect” and empty my mind from everything that is external – my job, relationship drama, plans for the future, everything. Be it by taking a bath, exercising, reading, or just going for a nap, I cherish those moments when I can enjoy my own company and put my feelings into perspective. Self care is all about making yourself feel as good as you possibly can, both on the inside and the outside, Finding your own version of happiness and comfort. I would love to share this with my mum because we could both use a little calm, and a little self care! Self-care for me is alone time. It is like hitting the recharge button. I feel at peace, my mind can sort everything out, and even begin to process my thoughts instead of all the interruptions.